Blues You Can Use Written by John Ganapes. 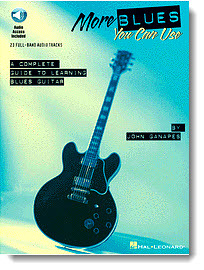 Instructional book and comes with a code access to the web-based audios for each guitar lesson. 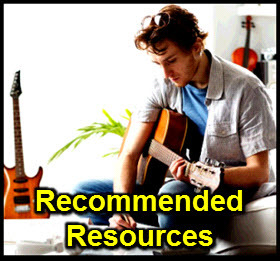 With introductory text, instructional text, guitar tablature, standard guitar notation, guitar chord diagrams and chord names. 96 pages. Published by Hal Leonard. (HL.695007) Your price $19.95 – Usually ships in 24 hours. This is an excellent book for teaching blues phrasing, in preparation for learning rock & jazz stylings. I used it with many of my students with great success in helping students develop their improvisational skills. More Blues You Can Use, also written by John Ganapes. Instructional book and lesson examples are available online with the code access that comes in the book. 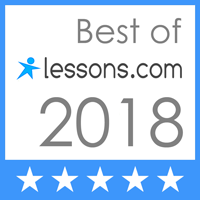 With guitar tablature, standard notation, chord names, guitar chord diagrams, instructional text, introductory text and guitar notation legend. 110 pages. Published by Hal Leonard. (HL.695165) Your price $19.95 – Usually ships in 24 hours. This is an excellent followup to the first book, Blues You Can Use. Students will learn more advanced playing that borders on Stevie Ray Vaughn / Buddy Guy type playing…amazing songs and method. 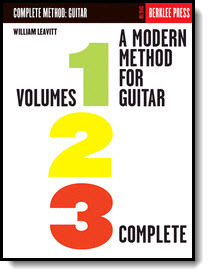 A Modern Method For Guitar – Volumes 1, 2, 3 Complete Written by William Leavitt. Instructional book for guitar. With standard guitar notation (no tablature), instructional text, chord names and fingerings. 408 pages. Published by Berklee. (HL.50449468) Your price $34.95 – Usually ships in 24 hours. This is THE method for learning how to read on the guitar. The whole method (all 3 volumes in one book) leans toward Jazz. This is the method used by Berklee School of Music in Boston. This is definitely NOT for wimps and it’s serious work, but very worth it. 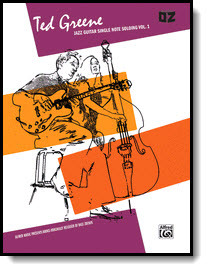 Jazz Guitar Single Note Soloing, Volume I By Ted Greene. For Guitar. Guitar Method or Supplemental Jazz. Book. 136 pages. Published by Alfred Publishing. (EL02780) Your price $18.95 – Usually ships in 24 hours. After getting this book, you should consider getting Ted Greene’s next addition, Jazz Guitar Single Note Soloing Volume II. It’s equally powerful! The content in this book and in Volume II is outstanding. Everything is broken down by chord and every riff is worth memorizing. It’s incredibly exhaustive by a great player who was a consumate and very detailed teacher. The ideas here will give you material for years to come. 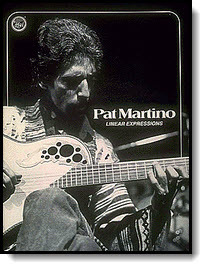 Linear Expressions – Pat Martino Written by Pat Martino. Instructional book for guitar. With standard guitar notation (no tablature), instructional text, introductory text and illustrations. 64 pages. Published by Reh Book. (HL.70011). Your price $10.95 – Usually ships in 24 hours. There are some great riff ideas in this one that are short and easy to start using. Pat explains different chord scenarios that licks can be used as well as an explanation of concept of soloing over changes. Excellent book. Pat Martino: The Best of Pat Martino (A Step-by-Step Breakdown of the Guitar Styles and Techniques of a Modern Jazz Legend) Performed by Pat Martino, written by Wolf Marshall. 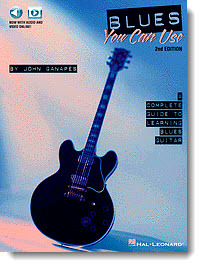 Instructional book and examples CD for guitar. With guitar tablature, standard notation, chord names, introductory text, guitar notation legend and accompaniment CD. Series: Hal Leonard Guitar Signature Licks. 110 pages. Published by Hal Leonard. (HL.695632) Your price $22.95. Usually ships from our warehouse in 24 hours. 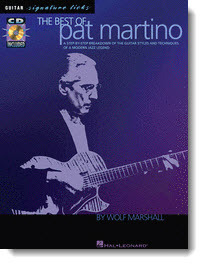 Simply put…GET THESE Pat Martino Books! If you’ve never been exposed to the stylings of Pat Martino, you’re missing out on one of the greatest jazz guitarists ever. His lines are so uniquely interesting and a joy to study. Guitar Tuna is the best FREE guitar tuner – very responsive and accurate. It’s simple to use too! This FREE metronome app is great for helping you develop your timing skills. I use a metronome everyday as part of my regular practice. It’s an invaluable tool for any musician at any level. Guitar Toolkit has a smooth and intuitive interface that’ll show you any chord in any position along the fretboard. Any student of mine will tell you that I am a staunch proponent of knowing all of your chords. Guitar Jam Tracks – Scale Trainer & Practice Buddy is a great tool for teaching you guitar scales and providing jam tracks to learn and improve your improvisation skills as a lead guitarist. There is a FREE as well as a paid upgrade version. Professional musicians know, that having a good trained ear is one of the most important skills, a musician should have. goodEar was made to increase those skills and bring you on a new musical level! This is a great ear training tool for beginners to professionals. 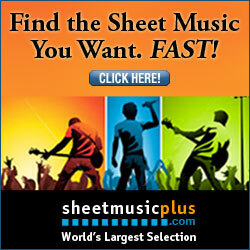 http://www.blanksheetmusic.net Great online resource to print from your computer. http://www.looknohands.com/chordhouse/guitar/index_db.html Where was this stuff when I was a kid? http://www.wholenote.com/basics/et1.asp Develop your ear with this resource. http://www.wholenote.com/basics/arps.asp Just pop in the chord name and voila! http://www.guitarbackingtrack.com/ Dozens of your favorite songs availabe for you to jam along with. Great resource and it’s FREE too! 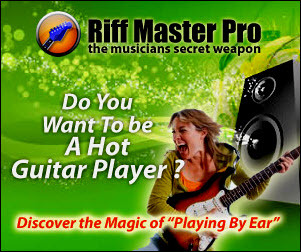 http://www.RiffMasterPro.com Great tool for slowing down your favorite guitar solos so you can learn them by ear (when you don’t have the tab). I wish this thing was around when I was a kid.